This is the second of two volumes designed to cover an entire year of high school geometry. 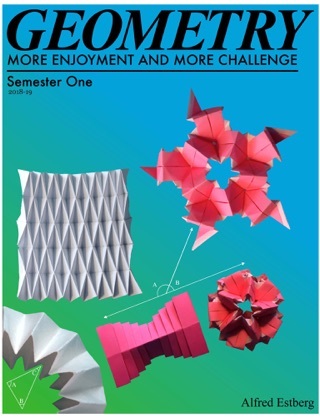 The first volume topics include: symmetry, transformations, constructions, coordinate geometry, logic, congruent triangles, points of concurrency, properties of special triangles, proofs (two column, algebraic, flow, and indirect), equidistance, parallel lines, and quadrilateral properties. 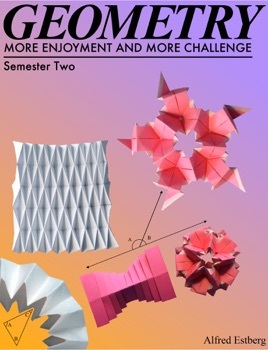 The second volume includes: similarity, dilations, right triangles, Pythagorean Theorem, 3d solids, right triangle trigonometry, polygons, tessellations, circles, angle/arc relationships, power theorems, area, volume, surface area, and modeling. These are all topics in the Common Core Curriculum for geometry. 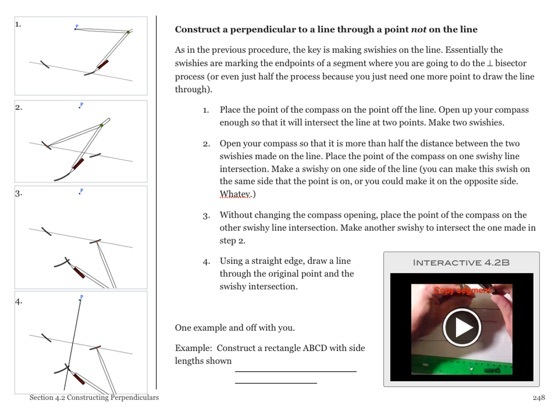 Each section contains detailed explanation and interactive widgets to introduce new concepts followed by full problem sets increasing in difficulty from basic to complex. Written by a math teacher with over 20 years experience, this text is being used as the honors level textbook in a high school of over 4000 students in a northern suburb of Chicago. This book stands apart from other books because it was specifically written for the iPad. Unlike other digital textbooks that have been converted from previously written hardbound textbooks by adding in a few movies and quizzes, this book was written for students to be active learners. 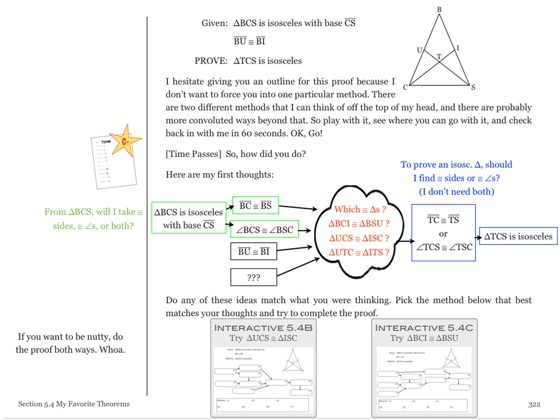 Readers are asked to think as they read and then check their ideas as they proceed. 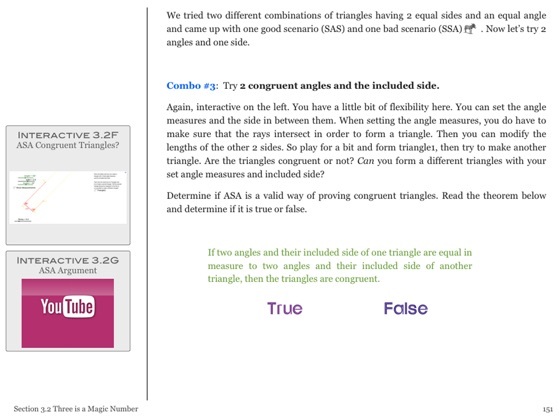 By using dynamic geometry software built into the book’s widgets, students will discover meanings of terms and develop new theorems throughout the course. 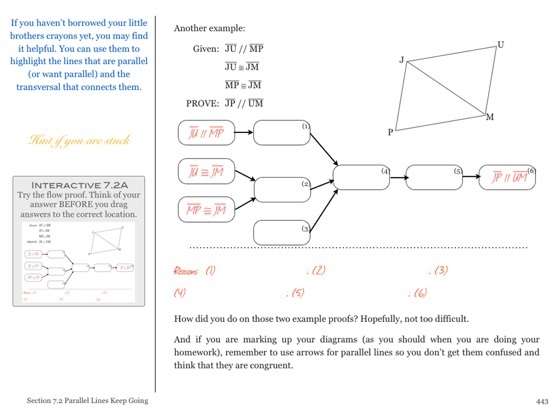 The problem sets are filled with rigorous activities and have hidden ‘hints’ for students to reveal when they get stuck. The writing style is quirky; a relaxed style geared for adolescents. Future editions will contain more topics (i.e. 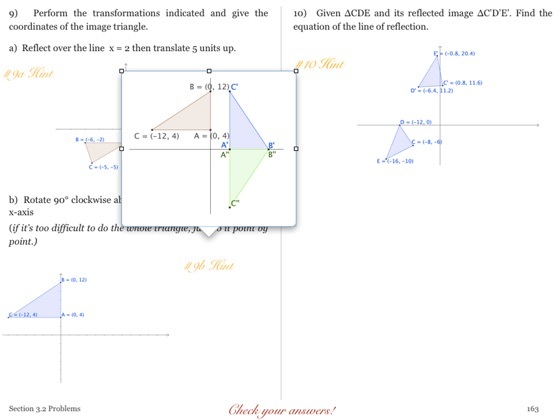 Law of Sines and Cosines), further enhanced widgets, answers, and selected solutions. I saw JESUS while reading this wonderful piece of art! It had really funny comments in it and it was really easy to understand! !